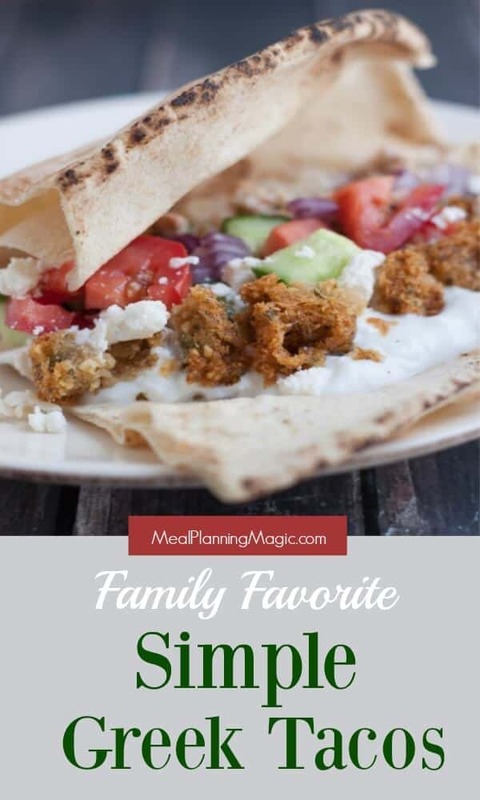 These Simple Greek Tacos are bursting with fresh vegetables, falafel and Greek seasoned ground beef, are a family favorite and really are so simple! One of our absolute favorite dinners is anything taco. Give us some ingredients and a tortilla and we’ll wrap it up and call it a taco. Fish tacos, traditional Mexican spiced tacos and others, we love them! 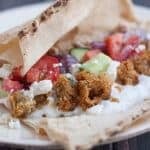 But my Simple Greek Tacos have reached all-time-favorite status in my house and if you’ve never tried them then wait no more! 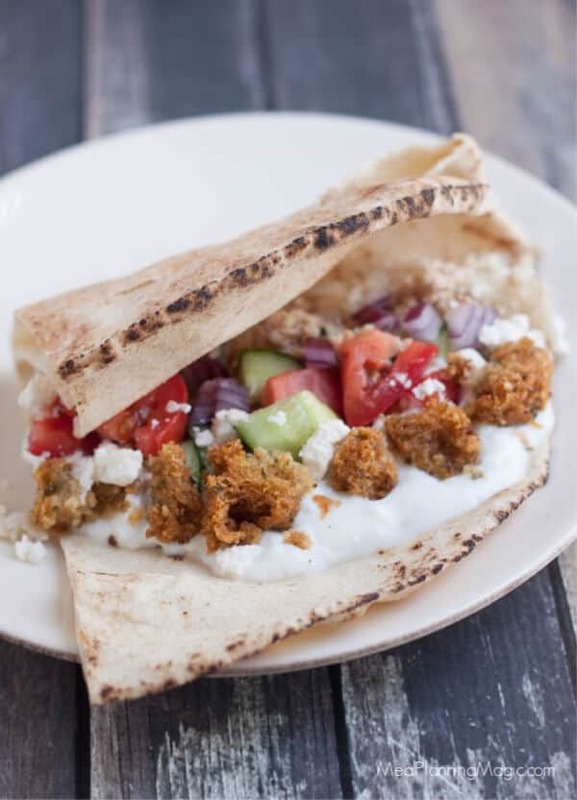 With lots of fresh vegetables like cucumbers, tomatoes and purple onion, falafel, Greek yogurt and feta cheese, these Simple Greek Tacos really are so simple to put together. I like to use a falafel mix and my family loves it so much they fight over who gets the last one! Maybe one day I’ll find a homemade falafel recipe that my family likes as much as the mix but for now, we’re good with that. Sometimes we make it a totally meatless meal but sometimes I like to make a Greek seasoned ground turkey or ground beef to go with our tacos. In Houston, we’re lucky to truly have a world of cuisines available to us. You name it, there is a restaurant or market or both for it! One my favorite stores (and my kids’ too) is Phoenicia Specialty Market on the westside of Houston. It’s a large grocery store that carries a lot of Mediterranean and eastern European foods. 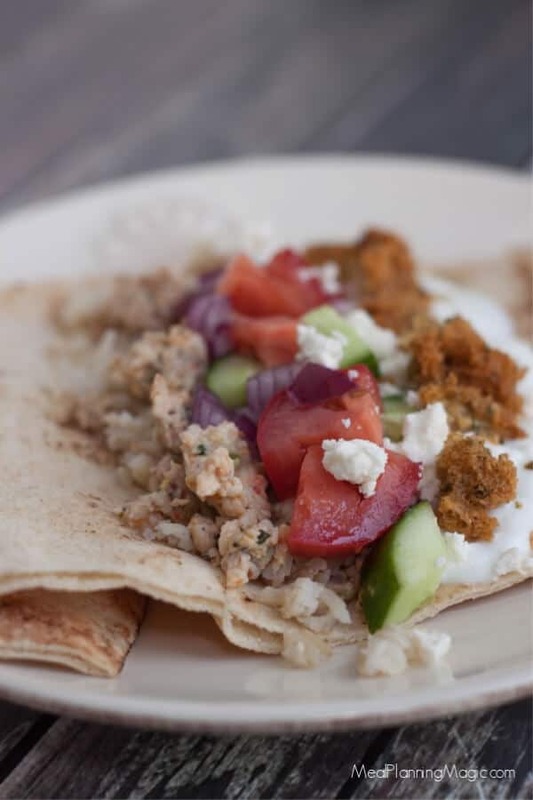 Phoneica makes many foods in house including some of our favorites like fresh baked pita bread, calamari salad, homemade baklava and more. They have many in-store made foods and mixes including the falafel mix I use but you can find other brands in the international foods aisle of most larger grocery stores. You can also find the Greek seasoning in the international aisle or make your own blend. If my family had their choice, they would want to eat Simple Greek Tacos every week. I know it looks like there are lots of ingredients, but they really do come together easily and hopefully will become a family favorite of yours too! In medium saute pan, brown ground turkey or ground beef. Drain off fat. 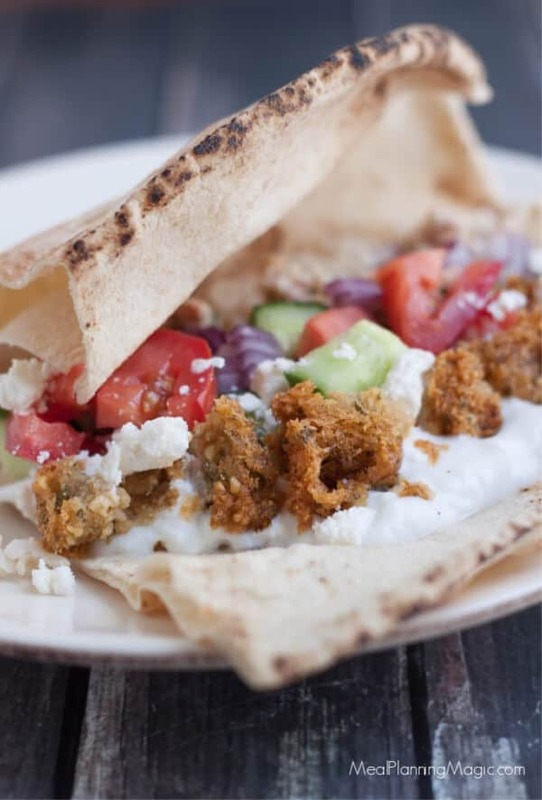 To assemble Greek tacos, lay one pita bread on a plate. 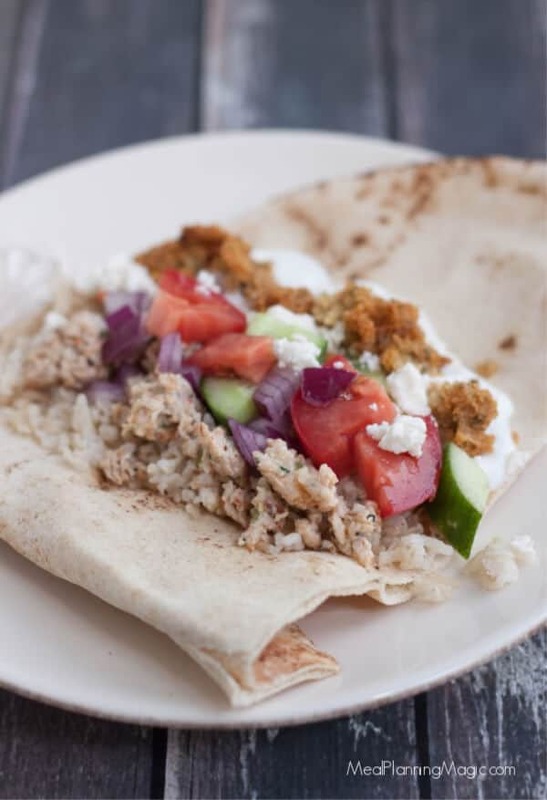 Add desired amount of cooked rice, falafel or ground meat mixture (or both), Greek yogurt, chopped vegetables and feta cheese. Feel free to mix and match to suit your taste!